Brismark and the Brisbane Produce Market are dedicated to supporting local independent retailers and have developed a Retailer Program that encourages consumers to shop at their local fruit shop. 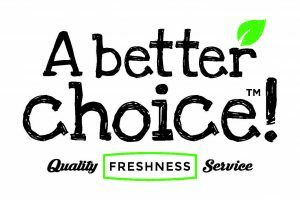 ‘A Better Choice’ is designed to educate consumers about the quality, service and freshness of produce at their local fruit and vegetable shop. By shopping at your local fruit and vegetable shop, you are making A Better Choice! To learn more about the A Better Choice brand click here.